Although February is not here yet and the situation might change until then, unconfirmed rumors claim that Huawei and AT&T's deal is off and the two brands will no longer team up as expected. Until today, we knew that Huawei was supposed to arrive in the US via AT&T next month. Now, we hear that the entire deal is off. Although nothing has been confirmed yet, Huawei and AT&T fans should not worry yet. After all, there are still a few whole weeks until the end of February. According to insiders familiar with the matter who spoke to The Wall Street Journal, "AT&T Inc. has walked away from a deal to sell smartphones made by Chinese electronics giant Huawei Technologies Co., according to people familiar with the matter." The deal was supposed to be announced at CES, but this has not happened so far. While this year's edition of the popular tech show in Las Vegas lasts until Friday, we do not think that Huawei and AT&T would delay such an announcement. If the deal materializes, it will mark the Chinese brand's first partnership with a major US carrier. If not, remains to see if Huawei finds another big player in the area to team up with in a timely manner. After all, the clock is ticking and they are planning to grab the crown of the global mobile market in less than 3 years. In the end, a delay might not be that bad, depending on which devices brings Huawei to the US and how long after their initial release. 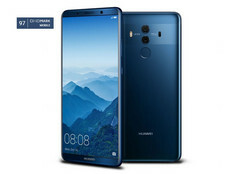 Maybe the upcoming Huawei P20 could launch in the US at the same time as in China, but all these should be taken with a grain of salt for now.